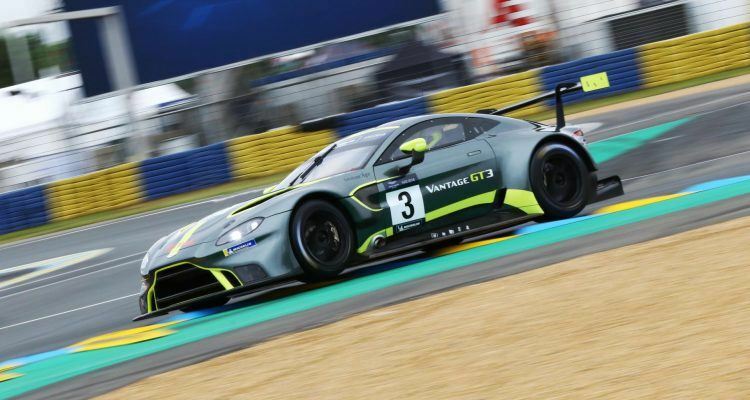 Aston Martin Racing launches AMR Young Driver Academy for 2019. The program will fast-track young talent toward racing Aston Martins. Entries are being accepted now. Winner receives a full factory contract in 2020. Everybody in the racing world now seems fully clocked to the farm system concept. Something that baseball teams have known about since Benjamin Harrison was president, sure, but, you know, a good idea is a good idea. It’s simple, fairly easy to implement and, although success is not guaranteed, it most likely tips the odds more to your favor. Basically, racing farm systems work like farm systems in any other sport. You get talent scouts into the field (or at least pay attention to the racing news), figure out who is hot and who shows promise at a young age, then sign them to a contract. Once you have your hooks in them, er, ah, have them into the company farm system, you can then mentor them, aid their growth and experience, and, by the time they’ve worked themselves up the ladder and it’s time for “the big show” (to cop a baseball term), they’ll be rarin’ and ready to go. Aston Martin Racing is launching the AMR Young Driver Academy for 2019, and searching to find the next Ross Gunn. Who is Ross Gunn you ask? I had no idea either until I found out he was the Aston Martin Racing Young Driver Academy wiz-kid from 2015. He currently works for the factory FIA World Endurance Championship team as a reserve and development (i.e. test) driver. No, he’s not in a race seat yet, but being a reserve and test driver is the last step before you become a full-on factory race driver. So, Aston Martin is on the hunt again, and when they find the next Ross Gunn, they fast-track the young talent directly into racing Aston Martins. The winner of the 2019 search will receive a full Junior Factory Contract for the 2020 season. Nice! Aston Martin Racing is launching the AMR Young Driver Academy for 2019. Photo: Aston Martin The Americas. 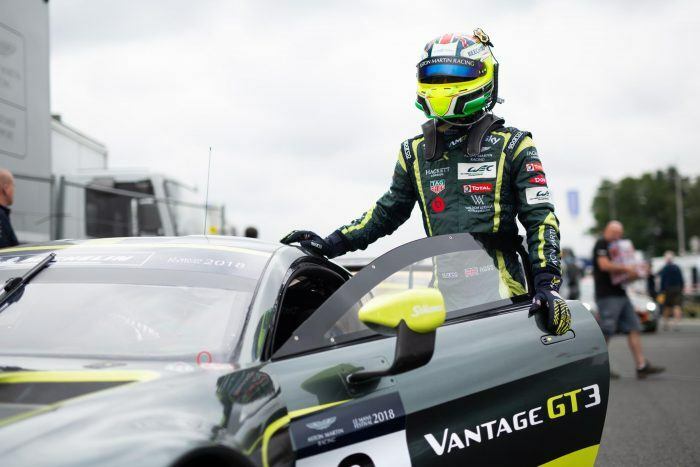 AMR Young Driver Academy is looking for drivers between 17 and 25, but (here’s the small print) is eligible only to those competing in partner and customer Vantage GT cars. Poor kids need not apply, my son. Judging criteria includes outright pace, consistency, technical feedback, and fitness. Fat kids need not apply either. The judges will evaluate the drivers’ ability to manage the strategic, teamwork, commercial and public relations aspects of their role, which sounds like some horrible way to crush the individuality out of a young person and make them more palatable to corporate interests (no young James Hunts, please). The final piece will be the future development of the candidate. So think of it like The Hunger Games, only with more pretty cars, less bows and arrows, and Jennifer Lawrence. Interested? Natch! Submit your racing CV to [email protected] by Friday, March 1st. Stop messing around with Forza Motorsports and email them. Tell them Automoblog sent you! Photos & Source: Aston Martin The Americas. No Comments on "Want to be Aston Martin’s Next GT Superstar? Here’s How…"